Neil Berg is the composer/lyricist of the hit Off-Broadway musical THE PRINCE AND THE PAUPER, which ran for two years at the Lambs Theater in New York City. The New York Times raved that THE PRINCE AND THE PAUPER “[soars] on wings of theatrical fun.” The original cast CD is released internationally on Jay Records, sheet music published by Hal Leonard, and licensing by Samuel French Inc. Songs from this show are also featured with many other classic songs in the official Off-Broadway Songbook, published by Hal Leonard. Neil is the composer for the new musical version of GRUMPY OLD MEN, based on the Warner Brothers movie classic starring Jack Lemmon and Walter Matthau, which had its out of town tryout at the Royal Manitoba Theater Centre in Winnipeg in October 2011, starring John Rubenstein and John Conrad Schuck. The developmental readings have featured Academy Award-winning actor F. Murray Abraham, TONY Award winner George Hearn, Marilu Henner, Carole Kane, Ken Page and Vicki Lewis. For more information go to www.grumpyoldmenthemusical.com. Neil is currently collaborating with Pulitzer Prize winning playwright Robert Schenkkan on a new rock musical called THE TWELVE. It will open on Sept. 3, 2014, at the San Jose Rep Theater in California. A workshop was recently done at the Signature Theater in NYC in June of 2013, produced by JERSEY BOYS Producer Joseph Grano, Jr, (Sneaky Pete Productions), Jim Orphanidies, Edward Negley, and Leftfield Productions; Roy Gabay is the General Manager.THE TWELVE also had a very successful showcase at the China Club in NYC, featuring Dan Spitz of Anthrax on lead guitar, a Concert World Premiere at the Broward Center in Ft. Lauderdale, Florida on April 1, 2010, produced by Adam Friedson, and was featured at the legendary B.B. King Blues Club in August 2011. Neil’s musical, THE MAN WHO WOULD BE KING, with book and lyrics by DJ Salisbury, had its World Premiere Production at the 2,300 seat Rudder Auditorium in College Station, TX in 2014. It had a developmental reading/workshop at The Village Theater in Issaquah, WA, directed by Tony Award winner Brian Yorkey (NEXT TO NORMAL). This followed a staged reading at the Rubicon Theater in CA. This show has been developed with dramaturgical guidance by Moises Kaufman of the Tetonic Theater Project. The fully-orchestrated CD recording, featuring Brian d’Arcy James, Marc Kudisch and Mandy Gonzalez can be purchased at http://www.neilberg.com/store.php. Neil’s musical Tim and Scrooge, with book and lyrics by Nick Meglin (former editor of Mad Magazine), was voted “one of the best musicals” of the inaugural NYMF festival in NYC, and garnered a glowing review in the NY Times after it opened for an Equity run at The Queens Theater in the Park, starring TONY nominee Bobby Steggert. It was also presented as a special reading at the Criterion Theater in the London’s West End. The musical has been performed regionally across the USA for the past five years. Neil is also currently working with writer Jonathan Feldman, who wrote the movie “Swing Kids,” on a new fairytale musical called NEVER GRIMM, which had its first developmental reading in August of 2013 at Santa Rosa Repertory Theater in Northern California. It had its first NYC reading in the fall of 2013, with a developmental production scheduled for 2015. Neil has just been hired to write the music and lyrics for a new musical version of the famous cartoon comic strip “Blondie”. “Blondie” is the most read cartoon in the world, with over 280 million readers daily. Neil also composed the musicalHEIDI, book by Julia Jordan and commissioned by Douglas Love and the Walden Family Theater. Heidi ran for over eighty performances in its regional premiere in Denver. His musical HEXED IN THE CITY played Off-Broadway at the Zipper Theater. Other commissioned works included PERCY PENGUIN for the Penguin Repertory Theater (Joe Brancato, Artistic Director), THREADS for the Helen Hayes Theater, in Nyack, NY, and FALSE PROFITS at The Theater Off-Park in NYC. As a film composer, Neil recently scored, and was the Musical Supervisor for the 2013 released film “Once Upon a Time in Brooklyn,” starring Armand Assante, Ice-T, William DeMeo, and Cathy Moriarity. It is released theatrically by Grindstone, the Independent division of Lions Gate. Neil was also the composer/music supervisor on the feature film “Searching For Bobby D” featuring Carmen Electra, Sandra Bernhard, and Mario Cantone. Neil was the recipient of the 1995 Bistro Award for Best Musical for his show ASYLUM IN THE NIGHT, a revue of Neil’s theater music. Neil had an evening dedicated to his music at Joe’s Pub, produced by BrodwayWorld.com, and returned to Feinstein’s for a two-week engagement in July 2011 after a sold out performance in 2010. Neil studied musical composition with Robert Printz, Sue Peters, and is a product of The BMI Musical Writer’s Workshop, mentored by Maury Yeston and Skip Kennon. As a Producer, Neil is the creator and co-producer, along with his producing partner Adam Friedson, of Neil Berg’s “100 Years of Broadway,” which is now the number one Broadway touring concert in the United States, playing in over 120 cities in 2010/2011. For a current schedule go to http://www.neilberg.com/performances.php. As owner of Leftfield Productions, Inc., based in Nyack, NY, Neil has produced over 1,000 Broadway concerts worldwide with such legends as Michael Crawford, Bernadette Peters, Ben Vereen, Betty Buckley, Rita Moreno, Donna McKechnie, Brian Stokes Mitchell, Liz Callaway, and current stars Mark Kudisch, Alice Ripley, Stephanie Block, Capathia Jenkins and many others. Neil was also one of the lead producers, and driving force of the recently acclaimed Off-Broadway revival of Maltby and Shire’s Closer Than Ever. 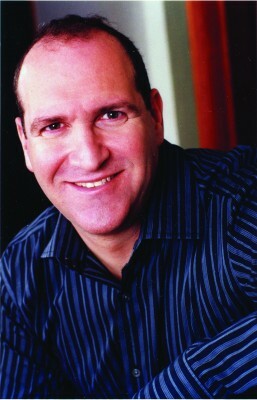 Neil’s guidance brought the show first to Queens Theater in the Park and The Bristol Riverside Theater with original stars, Lynn Wintersteller and Sally Mayes, before recasting the show when it came into New York City at the York Theatre, with Christiane Noll, Jenn Colella, George Dvorsky, and Sal Viviano. Reviews were some of the strongest in the 2012-2013 NYC theater season, and led to winning the Off-Broadway Alliance Award for Best Musical Revival. Neil is currently producing the entertainment for a new Supper Club at Pier 701, in Piermont, NY, featuring world-class entertainment every weekend, in a picturesque setting overlooking the Hudson River. Recent shows include a Broadway Concert featuring Rita Harvey (star of PHANTOM OF THE OPERA), Danny Zolli (star of JESUS CHRIST SUPERSTAR), and Richard Skipper Celebrates, featuring Award Winning NYC Cabaret Artists. Neil produced the concert version of the Broadway musical THE SECRET GARDEN in association with its composer, Lucy Simon. He has also produced concert versions of THE MYSTERY OF EDWIN DROOD, CHESS, and JESUS CHRIST SUPERSTAR. Neil was the Producing Artistic Director of The Broadway Series at the world famous China Club in NYC. Over the past 20 years, Neil has been the musical director/entertainment coordinator for such great organizations as Covenant House and The Leukemia Society of America. He has produced countless corporate events around the world for Goldman Sachs, UBS/Paine Webber, Deloitte Touche, John Hancock, Marriott Corporation, IBM, The United Hospice Organization, The American Red Cross, and many others. In May of 2012, Neil was awarded the Ellis Island Medal of Honor for his artistry and dedication to community service, including helping to raise over $15 million dollars for the homeless youth at Covenant House with his Broadway Concerts. Neil has been honored with the Distinguished Citizen’s Award, along with Academy Award Winning actress Ellen Burstyn, by The Rockland Family Shelter, for his efforts on behalf of abused women. He was honored in 2001 as The American Red Cross Man of the Year, and was honored again in 2003 by The United Hospice Foundation. In 2008, Neil was awarded “Artist of the Year” by the Arts Council of Rockland County. Neil was heard on radio around the country with his jingle for Shock Coffee. He has toured across the U.S. with the rock band Joe D’Urso & Stone Caravan and played on their past 7 CDs, as well as performed with them on the recent 100 Year Anniversary Tour for Harley Davidson. Neil is the proud co-owner, with John Asselta, of the SJR Theater Workshop, a theater camp for students in Montvale, NJ, which instructs over 200 young actors and singers per year. This program is now run year round. For more information please go to www.sjrtheater.com. Neil is a proud member of the Dramatists Guild.